Like many industries heavily affected by technology in the last decade, the payment industry has evolved dramatically. Examples are all around us – it is now a global trend for people to use money remittance services across borders, transitioning away from cash to internet/ mobile-based transfers. Mobile technology has revolutionized the traditional methods of paying, sending and receiving money online, both in stores and between individuals. Remittances represent a 600-billion-dollar market globally – mostly money transfers to friends and family abroad. In the past, remittances required a network of partners that could accept and pay out physical cash and only few companies were the main players in the sector, maintaining relatively high fees. The remittance industry has exploded recently as digital-first startups have undercut the transfer fees of established vendors, whilst also providing superior service. One such example is WorldRemit which is among the most dynamic players in the industry. The fast-growing, online remittance company operates in 50+ countries and enables customers to send money to friends and family living abroad through a modern online platform. The service is a convenient, low-cost alternative to traditional money transfer methods with high fees and outdated procedures. Recipients can accept the money as cash, in a bank account, as phone credit, or in mobile wallets. While WorldRemit was growing fast, it became evident that its existing reconciliation processes needed to scale up accordingly. Due to the high volume of transactional data involved in the reconciliation processes, the labor intensity of identifying, investigating, and resolving exceptions grew beyond what the team envisioned as reasonable and effective. 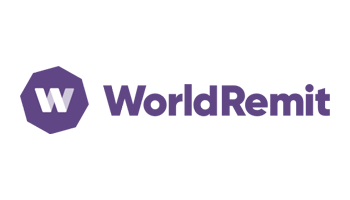 Along with looking for automation and efficiency, WorldRemit also wanted to identify a solution which could support the whole reconciliation lifecycle – including journal-entry approval workflow and balance sheet account reconciliation and certification at period-end. ReconArt provided the WorldRemit team with an in-depth Proof-of-Concept demonstration, which validated a strong fit on both the functional side and the overall partnership approach to working together. Implementation began shortly after. Think Money Group is an innovative financial services business based in Trafford Park in Manchester, England.